Born to Fire is a team-based free MMOFPS that offers five different classes with some customization options and a shooting range to test the weapons. 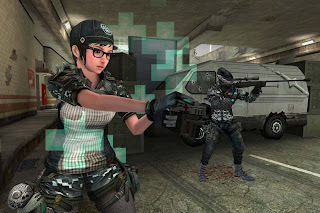 This is a pretty familiar first-person online shooter that goes for fast-paced action and relentless kills instead of complicated gameplay gimmicks. Despite the somewhat dated graphics, it’s fun in short bursts while you’re waiting for the next big free-to-play MMOFPS to be released.